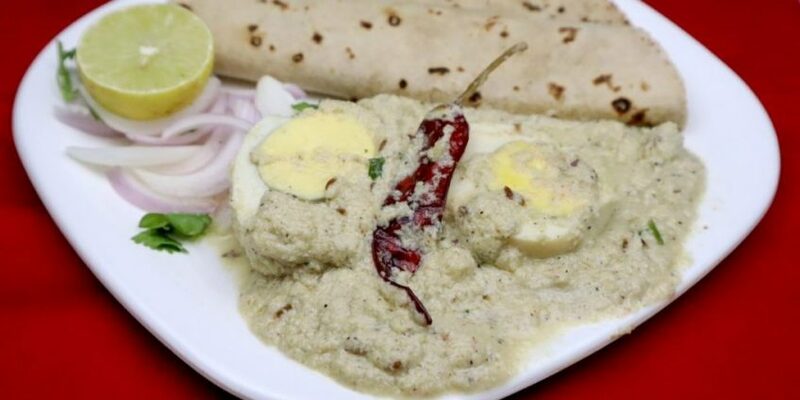 Egg Ravaiya curry is unique & local egg curry of Surat. The curry is made with mashed yolk & some Indian spices. The curry delivers new taste & textures in your mouth. Something new for egg lovers. This is very famous and made in Surat’s local egg shops. It is easy to make & really give you a new way to eat boiled eggs. If you are an egg lover, you will love this mesmerizing taste. 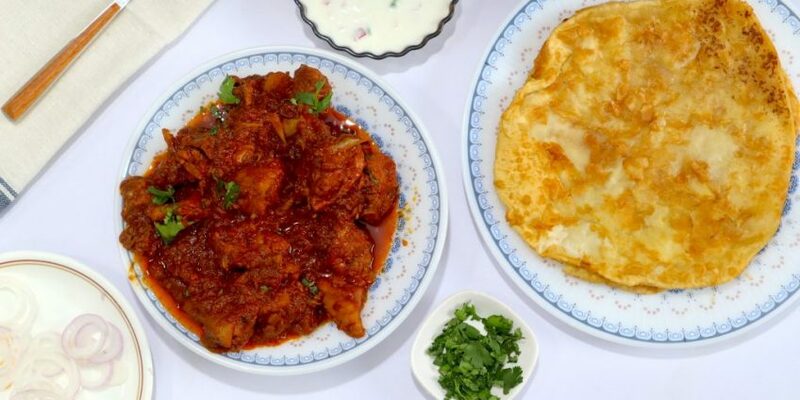 Make this curry on Sunday evening & make people go crazy over this new taste of the town. 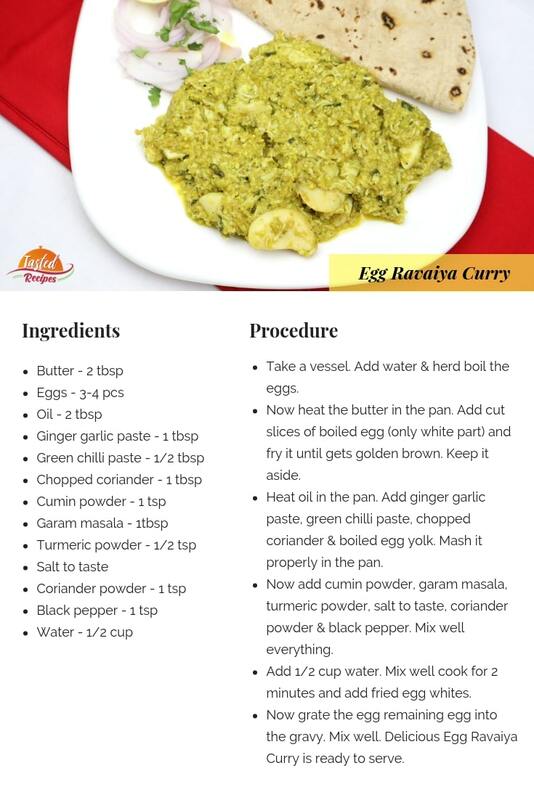 Egg Ravaiya curry brings a new flavour for the egg lovers. 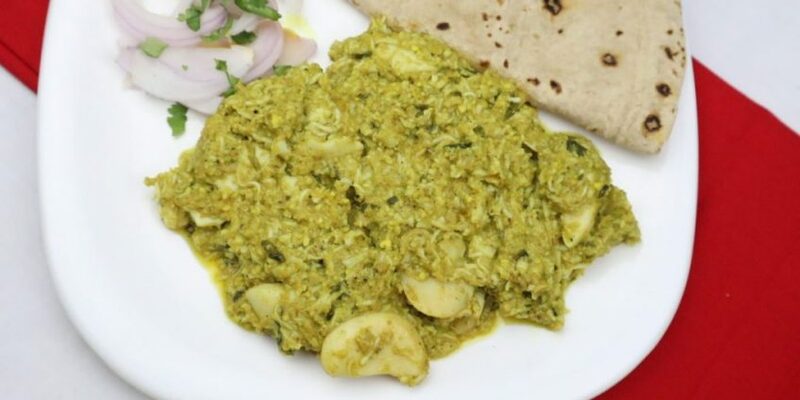 Feed your kids this mouth-watering curry & make them a fan of your cooking. Take a vessel. Add water & herd boil the eggs. Now heat the butter in pan. Add cut slices of boiled egg (only white part) and fry it until gets golden brown. Keep it aside. Heat oil in the pan. Add ginger garlic paste, green chilli paste, chopped coriander & boiled egg yolk. Mash it properly in the pan. Now add cumin powder, garam masala, turmeric powder, salt to taste, coriander powder & black pepper. Mix well everything. Add 1/2 cup water. Mix well cook for 2 minutes and add fried egg whites. Now grate the egg remaining egg into the gravy. Mix well. 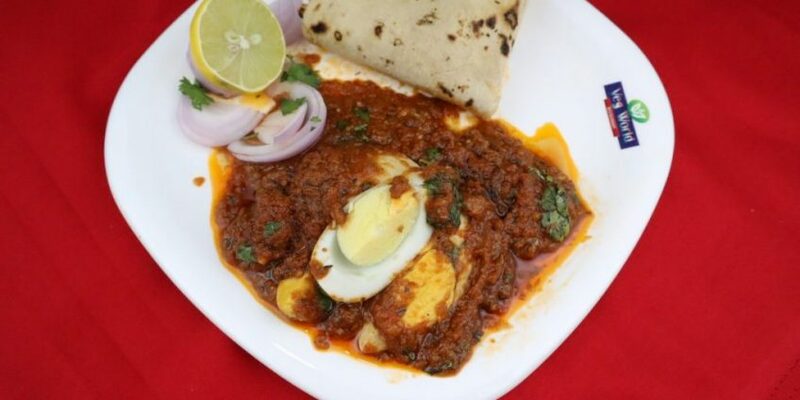 Delicious Egg Ravaiya Curry is ready to serve.